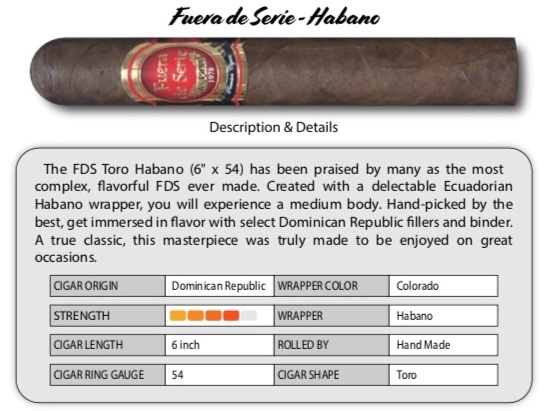 Click the button below to add the Fuera de Serie Cigar Toro Habano 6 X 54. Box of 20 to your wish list. Cuban Crafters does not sell tobacco products to anyone under the age of 19. Tel: (305)573-0222 | Fax: (305)573-0226 | Toll Free: 1-877-244-2701 (1-877-CIGAR-01) All prices are in USD.